What will iOS 7's default wallpaper be like? Discussion in 'iOS 7' started by ktekee, Sep 4, 2013. Do you think it will be the same as the dynamic ones already in the betas, or maybe change depending on the device? Also, it seems a bit sparse for apple to only have 2 dynamic wallpapers? I'm guessing the same as iOS 6 or the space wallpaper. I know that the dynamic wallpaper and space wallpaper will be in it and probably default, I mean like the iphone 5c, color matching the device etc. Possibly the same dynamic wallpaper, but in colours that match the device? From the leaked GM video, it looks like it might be the ugly dots wallpaper from beta 1, but with colors matching the device. Blue iPhone 5C -> blue version of dots wallpaper. It's unclear what Apple is going to do with the dynamic wallpaper section. That is something I thought they would never do in the first place. It would be weird if they left it with just 2 versions of the same dynamic wallpaper and that's it. Find My Friends icon, flat internal testing app for landscape orientation of camera. How do we know that's actually a GM build? How do we know that's actually the default wallpaper (or even a stock one)? Not really. Many things have changed since Beta 1 and Apple hasn't updated that website yet. 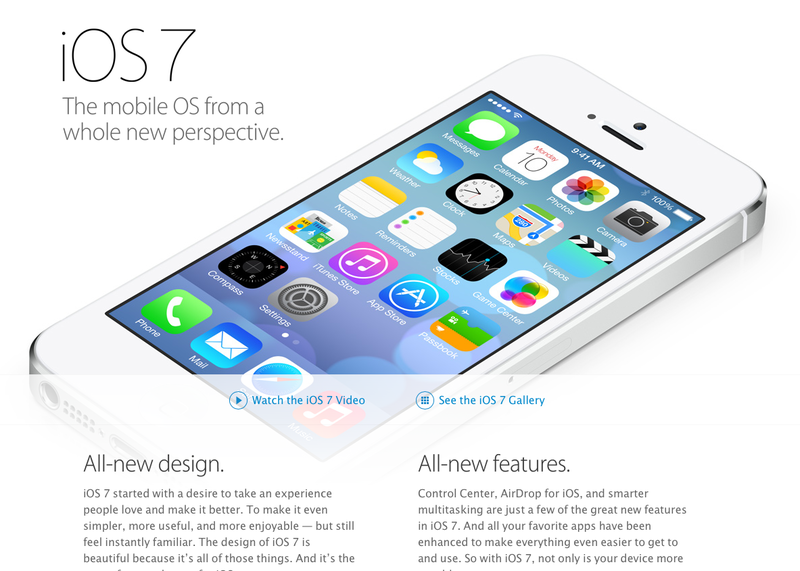 So we'll most likely see a re-design of the iOS 7 website after the event on Tuesday to reflect all the changes. So at this point, it's really anybody's guess which wallpaper Apple will choose as default. Do you have the link to the video? ^ a leaked GM build video...interesting. I'm looking forward to the new Aurora wallpaper for Mavericks, too. Dont think we really know what that is exactly. I'm with you three, I don't believe it either. Looks like it may be some sort of internal tools, maybe similar to the ones hamza sood discovered. I hope they add a lot more dynamic wallpapers, a wallpaper section in the store would be really nice. Even a basic customization section. My dream is that the apple logo on the back of the phone will have an LED with customizable colors for notifications. What would be even better is if the home button's square would be an LED that blinked very elegantly for notifications. The camera light flashing for notifications seems very prehistoric and not really clean. I've been wondering if they're provide some kind of way to generate animated wallpapers (like some kind of SDK tool) ... I think it would be outstanding if creating these resources were available for the open design/development community, we'd see some really slick work! If the 5S box on 9to5Mac is legit, looks like they will be the solid color of the device.